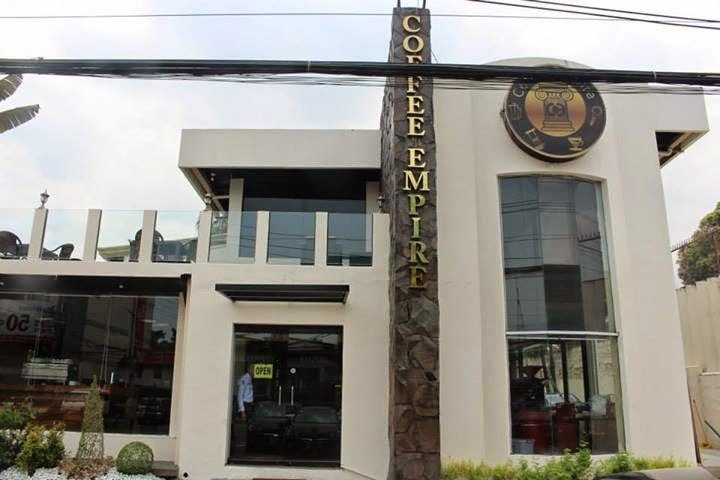 Coffee Empire is the first (from the words of owner Ernest Martin) "maarte" coffee shop in the country. They have the right to be since they are a 3rd Wave coffee shop. The first wave is the instant coffee that you can get from vending machines while the second wave is better than the instant coffee and it is composed of coffee shops like Starbucks and Seattle's Best. The third wave coffee shop is better than the second wave because they preserve their own coffee bean which means they make the coffee right from scratch. I live nearby so I was glad to finally be given the opportunity to experience what they have to offer. At first, I thought they were only offering bread and coffee but how wrong I was as they also offer a fantastic selection of food thanks to Chef Agra. They also employ award winning baristas as they really concentrate on serving quality drinks to their customers. 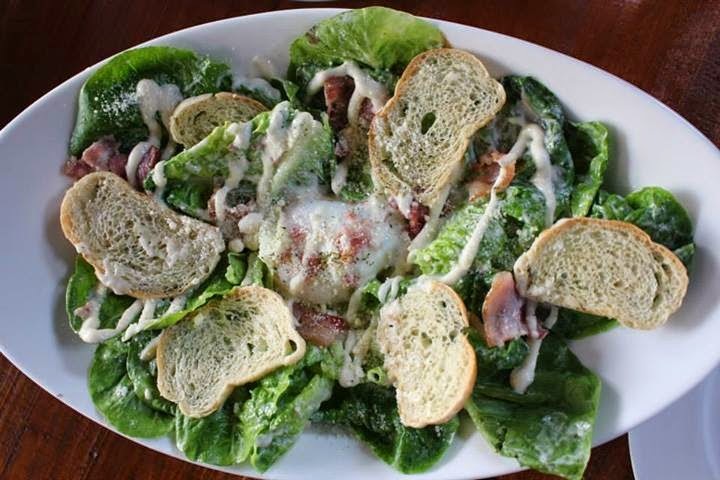 The Organic Egg Caesar Salad (P215) contains romaine hearts, sous vide eggs, bread chips, bacon rashers and parmesan. I really love the fact that there is parmesan in this salad as it made the salad taste real good. 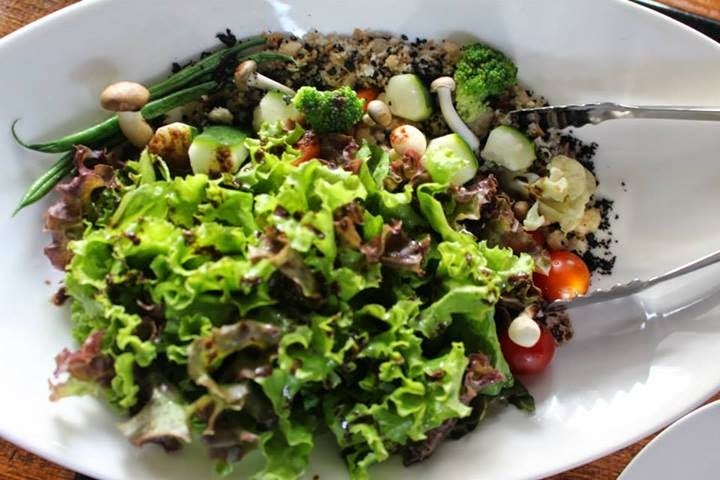 The Chef's Garden Salad (P260) has pickled and raw baby vegetables, pickled egg, bread soil, garden greens and lemon mist. It is indeed a vegetarian's delight. 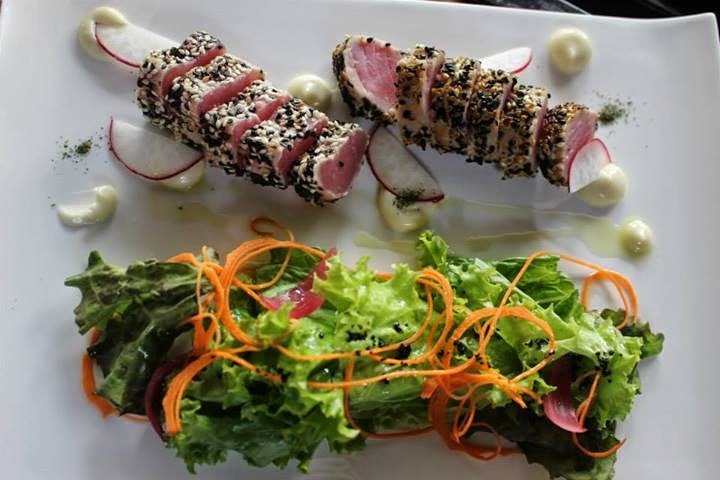 The Tuna Tataki (P305) has wasabi mayo, edamame, carrot spaghetti, greens and seared sashimi-grade tuna. I'm not that big of a seafood lover so I was not able to taste this one but the other bloggers that day gave it a thumbs up. I love shrimps so I was delighted to see the Gambas Al Ajillo (P375). 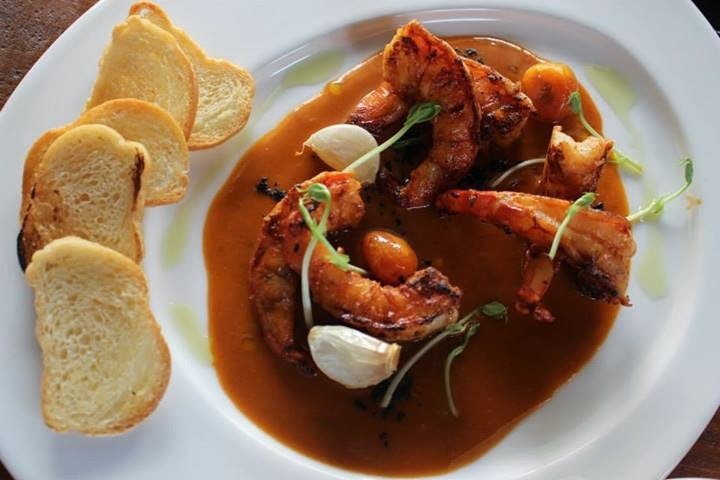 It contains tigerprawns, garlic confit, dehydrated prawnheads, dehydrated olives and prawn jus. I actually had 3 out of the 4 shrimps here so that says a lot about how much I loved it. I was not able to feel the red win in the Beef Shortribs Kaldereta in Red Wine (P390) but that is alright. 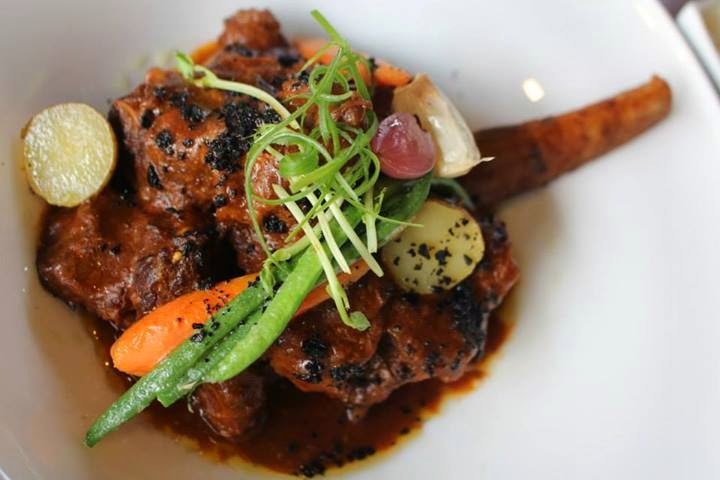 This amazing dish has braised beef shortribs, baby vegetables, pickled shallots and black olive rice. I knew right from the start that this was one of their best sellers and I was right. I am not that big of a seafood eater but I still took a bite out of the Teriyaki Salmon (P550). 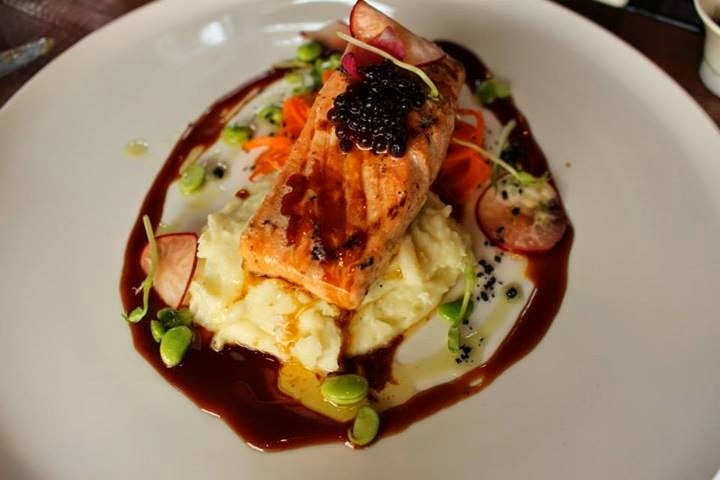 Its got the makings of a culinary classic as it contains norweigan salmon, teriyaki glaze, spaghetti of vegetables and wasabi mousseline. Of course, that one bite turned into two and two turned into three and so on. I made a joke about how far the 42 hour Pork Belly (P370) has traveled. Once again, I ate 3 out of the 4 pork bellies here and this was one of those times when I was thankful I was with people who were watching their diet or maybe they were saving some for dessert? Everyone is a fan of Speculoos Cookie Butter so I was not surprised at the amount of recipes that it spawned. 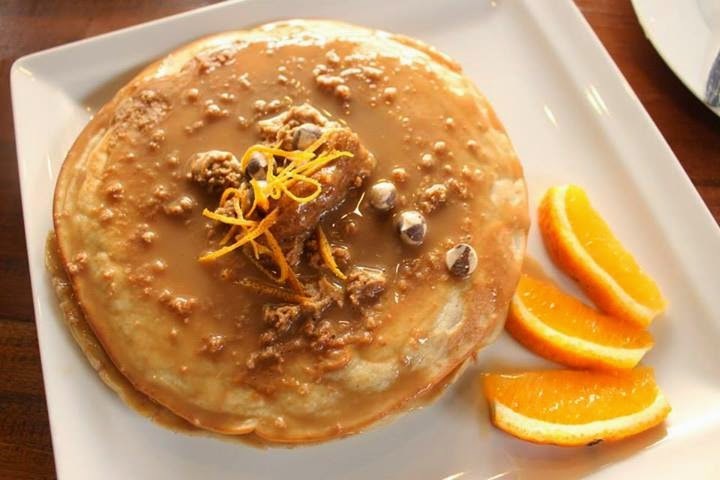 One of them is the Speculoos Crunchy Cookie Butter Pancakes (P140). It was so good that I was so sad to see owner Ernest Martin take it to the kitchen even if there was still 1/3 of it left. It was like saying goodbye to someone you just met that you knew you were going to be close with. 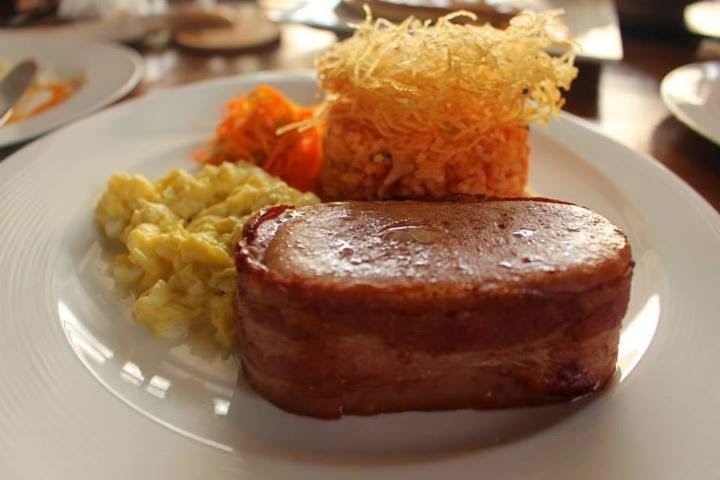 They are an all day breakfast coffee shop and the highlight of the menu is Spamsilog (P185). It was one of those breakfast favorites that we all grown to love and their version just made me love it even more. 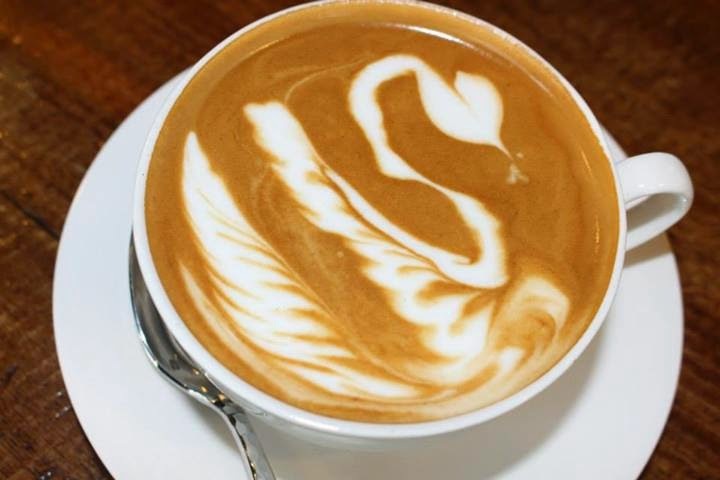 The star of the show as without a doubt the coffee as it even has the shape of a swan. We were given Latte (P140) and Espresso (P100). I enjoyed their coffee a lot and I am sure other coffee lovers will too. I had two drinks throughout the meal. 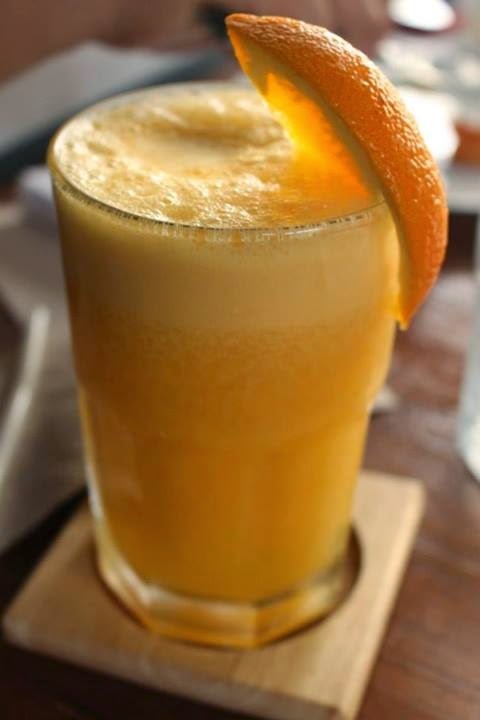 The first was the melon with whipped cream and the fresh orange smoothie. Both drinks are a bargain at only P150. I could easily imagine myself coming back here just for these drinks since I live nearby. For some reason, I decided to have a drink at 2 in the afternoon. It was because Ernest got me curious about the Surprise Me which is where they ask you a couple of questions about your preferred drink and they will whip you up a drink that will send you straight to heaven. 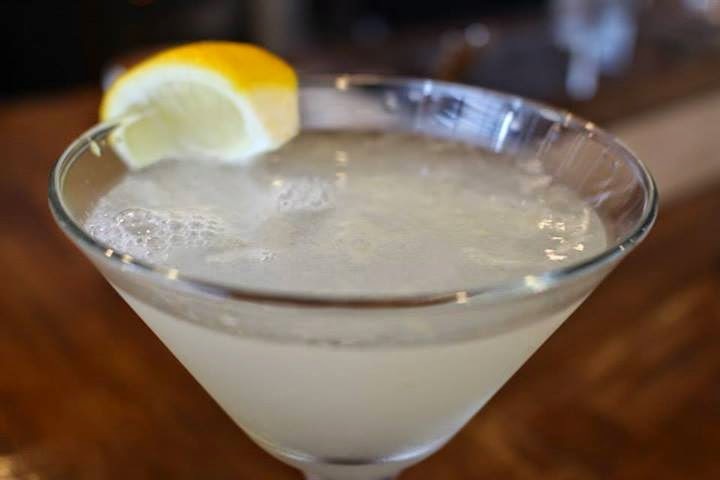 My drink contained dry gin, southern comfort, lime and lemon and it did not take long before I finished it. Our afternoon ended pretty well with the 6 Layered Death by Chocolate (P240). It is such a steal for its price for chocolate lovers. It is going to be sprinkled with chocolate ganache right before your very eyes. 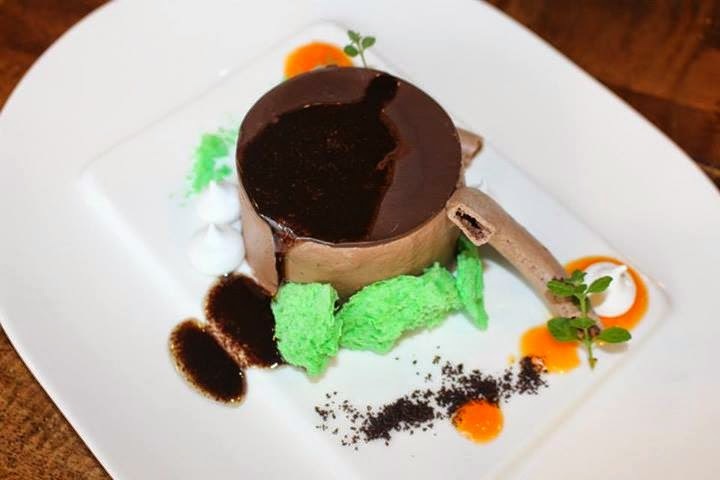 It also contains chocolate joconde, brownie, gelee, daquoise mousse. 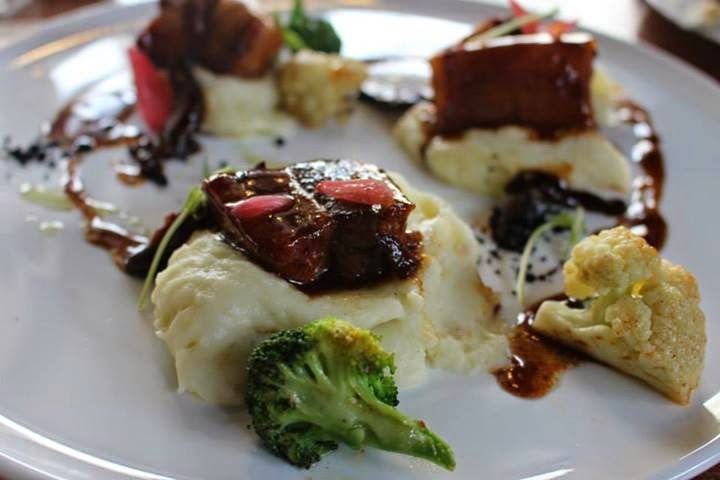 You are certainly going to forget about your diet once you taste this. The food seems expensive. Are they good for sharing? Anyway, they look really delicious! Everything here looks amazing! 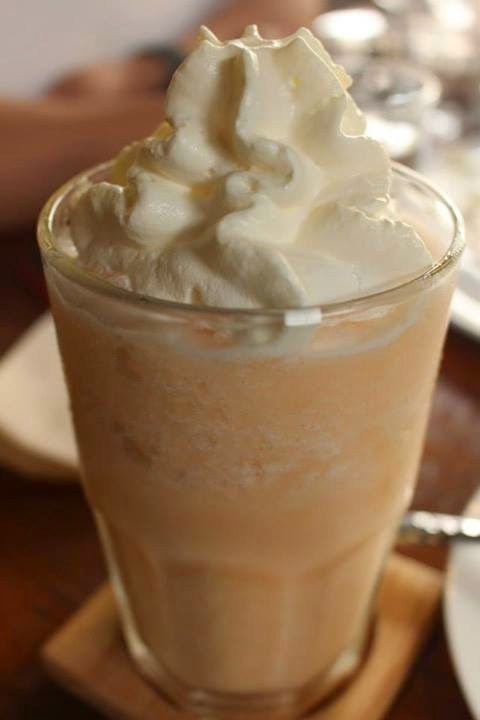 Sadly, I live far and have to travel to QC to experience dining at this maarte coffee shop hihi.